Polystyrene packaging material - make sure this doesn't go into your recycling bin. 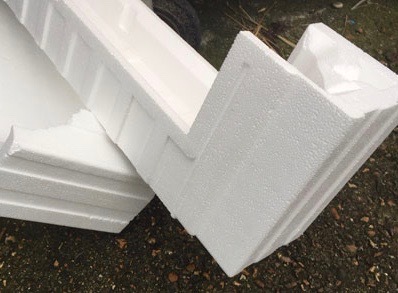 Make sure you don’t put polystyrene, bubble wrap and foil-lined plastic pouches into your recycling bin because it can lead to a whole 16 tonne load being rejected by a Materials Reclamation Facility. Wealden Council’s cabinet member for waste management Cllr Roy Galley is appealing to residents to check before disposing of packaging material. He says that as more of us spend more time shopping online there is more packaging material to dispose of when the purchases arrive. Cllr Galley said: “We are urging residents to check first before putting all the packaging and other items in their recycling. He said polystyrene, bubble wrap, and foil-lined plastic pouches should be put into the rubbish bin, so should for waste, nappies, textiles, black bags, and hard plastics such as flower pots. Cllr Galley added another contamination problem had been caused by residents putting food waste into their recycling instead of the rubbish bin. For more information about what can be recycled, look at your recycling calendar or bin sticker, or visit the wealden website recycling page. Click on the ‘What goes in each container’ link for a detailed list of what is, and is not allowed’.